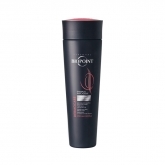 Biopoint makes its debut in all beauty salons with its conditioning cream. 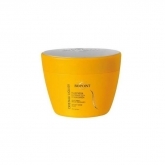 This multipurpose cream marks the beginning of a very successful line thanks to its untangling, nourishing and rebuilding properties. Its fame has ridden out the years untouched and is still considered a "cult-product". Biopoint makes a giant leap and enters the world of perfume shops. 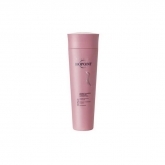 In 1985, the new concept of cosmetic hair care spreads in the segment of beauty. Strong of its professional experience, Biopoint decides to enter also the segment of perfumery; and it does this by making available to all women its top quality products, synonym of extraordinary results, in all perfume shops. Programs of Treatment: the great turning point. A complete line of cosmetic products dedicated to every specific need; from cleansing to treating, including styling. The customized solution within everyone's reach. At the lead of the sector devoted to hair beauty. Care towards consumers' needs, along with research and innovation at the service of hair care, makes Biopoint an undisputed leading brand in perfumery and a pioneer in this branch of market. Today, Biopoint can boast the most complete range of products conceived for the segment of perfumery specifically.